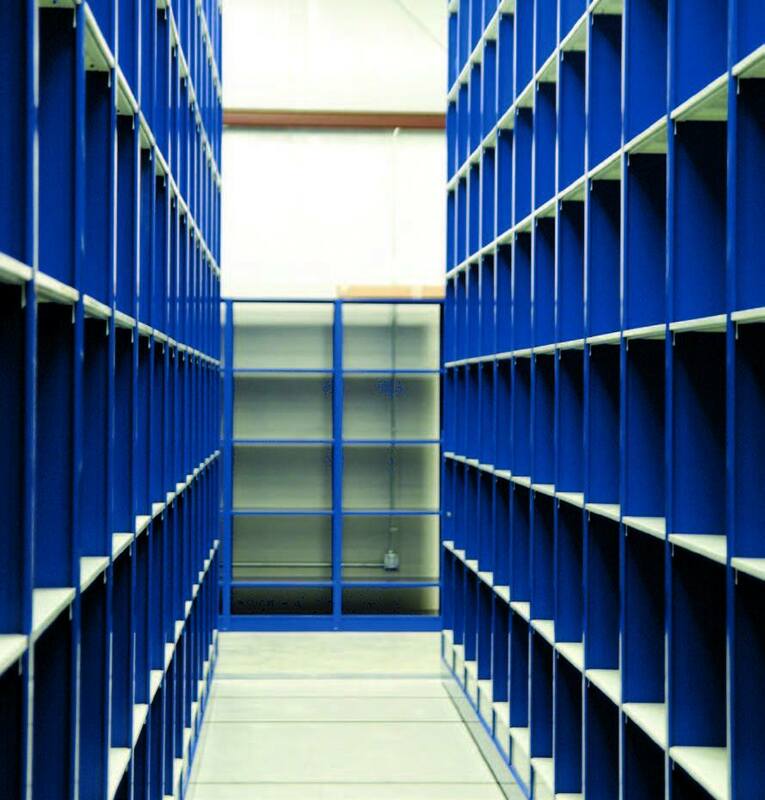 By installing an Aisle-Saver mobile storage system or mobilizing your existing shelving, Aisle-Saver can increase your storage capacity by 50%. 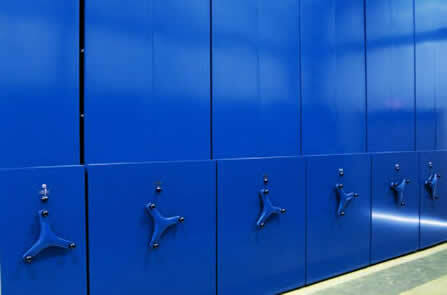 Aisle-Saver is a complete, high-density storage solution, with a flexible design, that can be configured to meet the exact needs of any manufacturing or industrial operation or facility. 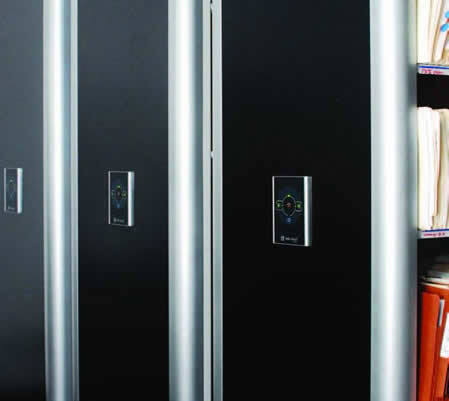 Aisle-Saver is available in both mechanical and electrical powered systems, and is an effective, economical way to increase your existing storage space. 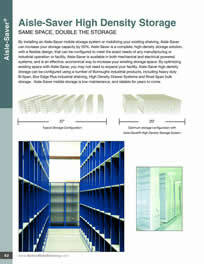 By optimizing existing space with Aisle-Saver, you may not need to expand your facility. 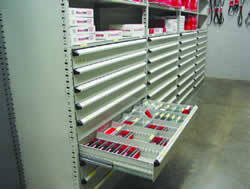 Aisle-Saver high density storage can be configured using a number of Borroughs industrial products, including heavy duty B-Span, Box Edge Plus industrial shelving, High Density Drawer Systems and Rivet-Span bulk storage. 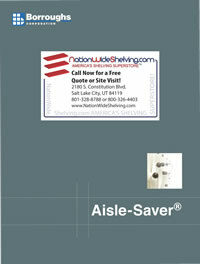 Aisle-Saver mobile storage is low maintenance, and reliable for years to come. The Mechanical Assist System's powerful 6:1 drive ratio is capable of moving 6,000 lbs. with just 1lb. of pressure. Systems are offered with safety lock and an optional mechanical safety brake. 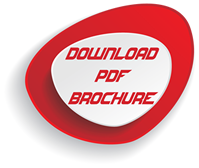 The Electrical System offers the ultimate in operational efficiency, ease of use, as well as providing your facility with the industry standard in security and safety. Solid-state electronics, easy to read LCD Master Controller, featuring plug and play convenience, offers simple installation and programming. 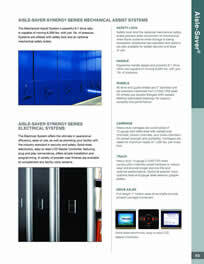 A variety of powder coat finishes are available to complement any facility color scheme. Safety lock and the optional mechanical safety brake prevent aisle movement of mechanical Aisle-Saver systems while storage is being accessed. Additional key-operated lock options are also available for added security and ease of use. Ergonomic handle design and powerful 6:1 drive ratios are capable of moving 6,000 lbs. with just 1lb. of pressure. Wheels All drive and guide wheels are 5" diameter and are precision machined from C1045 CRS steel. All wheels are double flanged with sealed, lifetime-lubricated bearings for superior durability and performance. All drive and guide wheels are 5" diameter and are precision machined from C1045 CRS steel. All wheels are double flanged with sealed, lifetime-lubricated bearings for superior durability and performance. Heavy-duty carriages are constructed of 12-gauge cold rolled steel with welded side channels, torsion channels, and cross–members for added strength and durability. Carriages are rated for maximum loads of 1,000 lbs. per linear foot. Heavy-duty 13-gauge C1045 CRS steel construction matches wheel hardness to reduce wear and provide longer service life and optimal performance. Optional seismic track systems feature 8-gauge steel seismic gripper plates. Drive Axles Full-length 1" hollow steel drive shafts provide smooth carriage movement. 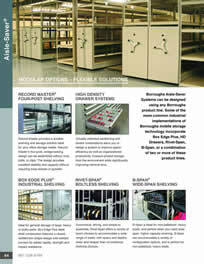 Borroughs Aisle-Saver Systems can be designed using any Borroughs product line. Some of the more common industrial implementations of Borroughs mobile storage technology incorporate Box Edge Plus, HD Drawers, Rivet-Span, B-Span, or a combination of two or more of these product lines. 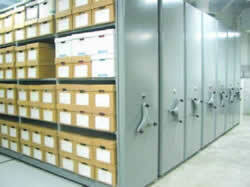 Record Master provides a durable shelving and storage solution ideal for your office storage needs. Record Master’s four-post, wedge-locking design can be assembled without nuts, bolts, or clips. The design provides excellent stability and capacity without requiring sway braces or gussets. Virtually unlimited partitioning and divider combinations allow you to design a system to improve space efficiency as well as organizational productivity. 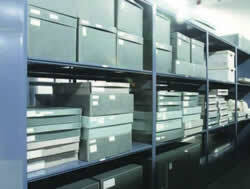 Drawers protect storage from the environment while significantly improving retrieval time. 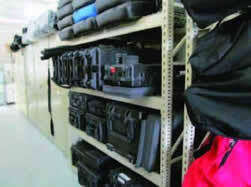 Ideal for general storage of large, heavy or bulky parts. Box Edge plus steel shelf construction features a closed, welded box shape design with welded corners for added rigidity, strength and impact resistance. Economical, strong, and simple to assemble, Rivet-Span offers a variety of beam choices to accommodate a wide range of loads, with spans and depths wider and deeper than conventional shelving choices. 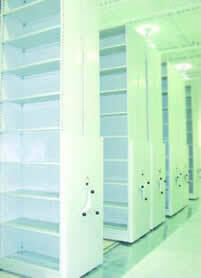 B-Span is ideal for non-palletized, heavy loads, and perfect when you need widespan, higher capacity shelving. 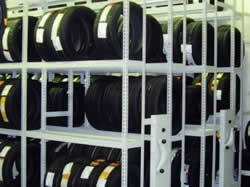 B-Span can accommodate a variety of configuration options, and is perfect for non-palletized, heavy loads.